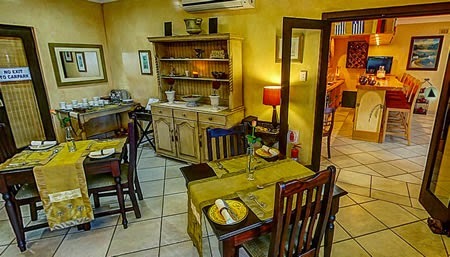 Anchor's Rest Guest House Umhlanga Rocks: Born to Shop? Then you're born for Umhlanga! Born to Shop? Then you're born for Umhlanga! Theatre of Shopping. The tagline says it all. 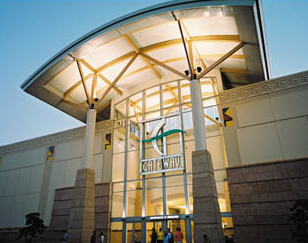 Gateway, Africa's largest shopping mall, has established itself as a landmark in its own right. It's a treat for the senses – visually appealing, buzzing with life and energy, the air hung with delicious scents from the food court and charming fragrances from department stores. Even the floors, walls and escalators provide tactile gratification. It's electrifying! Beautiful, happy people adorn the landscape – and their joy is contagious. It's hard to find an unhappy face at Gateway. If freedom truly is about choice, then Gateway is the capital of freedom. This mega mall offers an uncontested range of activities to choose from – everything from movies to restaurants, fashion to fun … and of course, shopping. Every leading bank, retailer and service centre in the country has a home at Gateway. You need never worry about running out of anything, not having the right outfit or pair of shoes, or having nothing exciting to do. Just head to Gateway and let the retail therapy begin. Of course, all that excitement needs a good pre-outing fuel up. Breakfast in Anchor's Rest's tasteful breakfast room is the perfect start to any day. The wide sliding doors, with their enchanting view of the swimming pool, let in the early morning light. Warm, muted colours and comfortable chairs are a welcome sight, and the perfect complement to a good night's rest – guaranteed in our luxury rooms. Steaming coffee, fresh fruit juice, and hot or cold breakfast fare will give you a delicious, energising boost and see you right for your vibrant day ahead. Take your time (and another cup of coffee), before you head out into the cosmopolitan bustle of South Africa's most contemporary, convenient shopping complex. Call us on 031 561 7380 or visit www.AnchorsRest.co.za to book your luxury stay in the heart of upmarket Umhlanga.